Mechanical Solutions Incorporated (MSI) offers complete repair and overhaul services for natural gas compressors and engines. We offer field service utilizing fully-rigged service trucks with lifting capabilities up to 10,000 pounds. 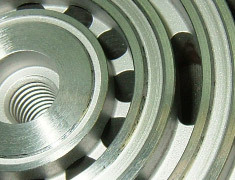 We have a highly-equipped service and machine shop with CNC and manual lathes to handle component rebuilds, repairs and overhauls. 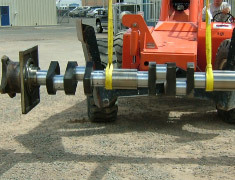 Established in 2005 and based in Farmington New Mexico, MSI was formed to meet the rebuild, repair and overhaul demands of the large and small horsepower end users. Parts Tracking and Planning: Our proprietary component tracking program allows our customers to budget and plan for scheduled maintenance and overhauls, and track components. All components can be tracked by unit, site, and repair. Parts Inventory: We have a large inventory of valve components in stock and will stock specifically to meet our customers' needs—just ask! Call at 505-327-1132 or e-mail. Have a Question? Go ahead and ask us. Installation, service, repair and overhaul of compressors and engines with excellent in-field capabilities including: engine and compressor overhauls, equipment maintenance, laser alignment, and pump repairs. More. CNC lathes and mills, lapping table, media blasting and waterjetting. TL3 and CNC lathes, manual lathe and more. Machining Services. Our shop repair services can provide complete zero-hour rebuilds, re-machining of valves and cylinders and thorough troubleshooting. More at Shop Repair Services.